Books written in blood. Most of them lost, their Keepers with them. A curse that befell the people of Reign and their surrounding neighbors who blame them for this. A Kingdom with no King. Life couldn’t get more harrowing for the Elfies, a blend of Elves and Fairies. Or for sixteen year old Jules Blaze. Or could it? Something in the air is brewing and Gehzurolle, the evil lord, and his army of Scorpents will invade and destroy the Kingdom of Reign and the Elfies. Already Gehzurolle’s agents, secreted in Reign, are ready to do their master’s bidding. But for Jules his nightmare has only just begun. Especially since he and his family have inadvertently invoked the interest of Gehzurolle. But why? There are some types of literature that I tend to shy away from, simply because I don't tend to enjoy them. And to be honest fantasy has always been one of them. However, when I was asked to read this book I felt that I needed to say yes... but two chapters in and I was wondering why I considered saying yes. Jules is a young man (teenager) who finds himself fighting for survival, not just his survival but the survival of all the Elfies. He is left in charge of his four siblings as he tries to find help in rescuing his mother and the other Keepers. 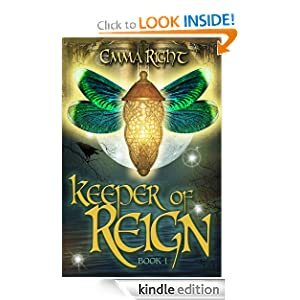 Right has done a wonderful job at setting up a fantasy that could easily grab young readers and captivate them as each chapter is short and full of action, most ending in a cliffhanger that draws the reader back for more. In fact I know am anxiously waiting for the next book in the series, simply because of the ending of the book! I have heard this series compared to The Lord of the Rings, and yes I do see the similarities. My only negative is that this book seemed rushed - there were some obvious plot hiccups as the plot progressed. In an effort to keep up the action and adventure some of the details gets muddled or just left out, leaving the reader to assume some transfer of knowledge between characters. This however is minor, and simply shows that this is Right's first book of such scale. Another bonus to this book is the Christian undertones that appear throughout the book. Do not misunderstand, this is a fantasy book, but there are plenty of points that could lend themselves to parent-child discussions of the Gospels and Christianity. I must add, I liked the addition of the map of Reign - a nod to Tolkien I would guess. 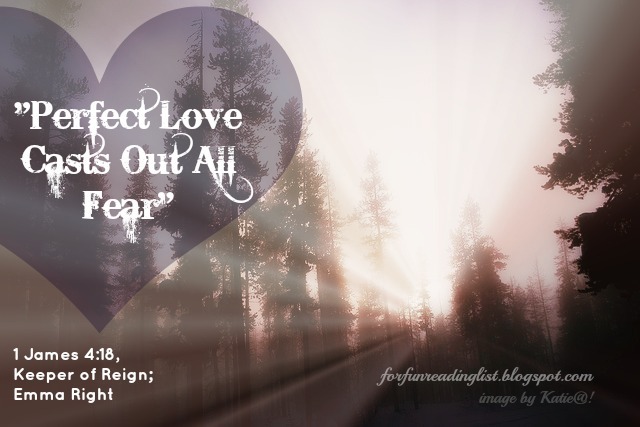 And Right has many pictures and such linked at her website to help bring the world of Reign to life for her readers - check it out! Do your children enjoy fantasy or adventure books? Do you think this would be a book they might enjoy? Are you a believer that parents should read the books their kids are reading in order to allow for conversations and discussions? Chime in, I'd love to hear your thoughts. Share on Twitter: Looking for an escape? Try the Kingdom of Reign. If this is a book that you would like to own, consider ordering through my affiliate link and support Reading List. Thank you!